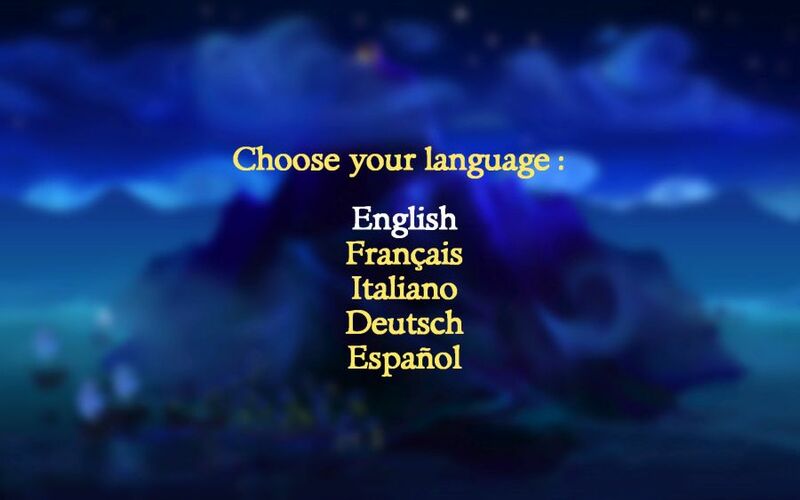 Out of nostalgia I grabbed The Secret of Monkey Island Special Edition on Steam, but after I installed and started the game, I selected the wrong language. I restarted the game as I thought I would see the screen again where you can choose the language, but that didn’t happen. Now I closed the game again and started to find out how I can change the language again, and as I found out how to do this, I want to write a small tutorial about it in case you have the same problem too. Find the folder “LucasArts\The Secret of Monkey Island Special Edition” in your user folder and app data folder of your operating system. If you are on Windows 7 for example, you will find the folder in “YourUserName/AppData/Roaming/Lucasarts/The Secret of Monkey Island Special Edition/”. You will find a file called “Settings.ini”. Delete this file, and start The Secret of Monkey Island again. After starting the game, you should see the language option screen again. After you did choose the right language, you might want to check the options menu in the game to see if all other settings are still right. At this point the game did already write a new “Settings.ini” file, the file you deleted previously. Now you are good to go! Find “LucasArts\The Secret of Monkey Island Special Edition” in your user and app data folder of your operating system. In case you use Windows 7, the folder is located at “”YourUserName/AppData/Roaming/Lucasarts/The Secret of Monkey Island Special Edition/”. Open the file “Settings.ini” with a text editor like the Windows Notepad. You should see a line that starts with “language=”. If it’s “language=0”, the game will be played in English. If you want the game to be in French, you have to change it to “language=1”, for Italian to “language=2”, for German to “language=3” and for Spanish to “language=4”. Save the file and start the game, you can now play the game with your favorite language. I hope this small guide helped you to find out how to change the language in The Secret of Monkey Island Special Edition. If you have something cool to say, or if you want to add some information’s, drop a comment! And have fun with this super cool classic game! To get to it, i found it easier to use terminal because the directory is hidden.